“The 9th Life of Louis Drax” works as both a children’s movie for adults and a grownup movie for kids, a rare balancing act most young-adult fare can’t pull off. Director Alexandre Aja‘s big-screen version of the best-selling novel by Liz Jensen (adapted by Max Minghella) is the kind of film you can imagine today’s kiddos one day recalling as the first “real” movie they saw growing up, its tone dark but not despairing. 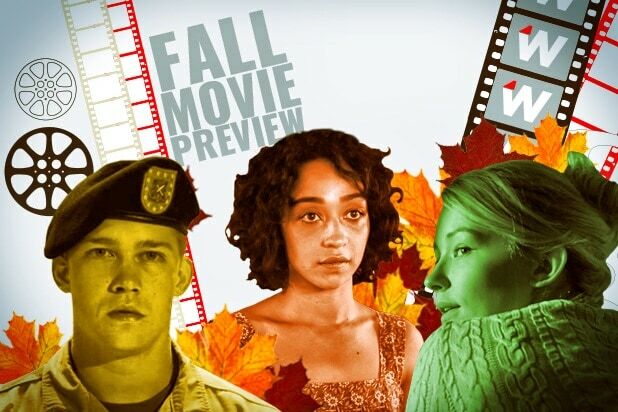 The film’s titular young hero (Aiden Longworth) is as accident-prone as he is resilient: Louis has survived one near-death experience in each year of his life. He’s now nine and, as anyone familiar with cats can tell you, doesn’t have any more lives to spare. 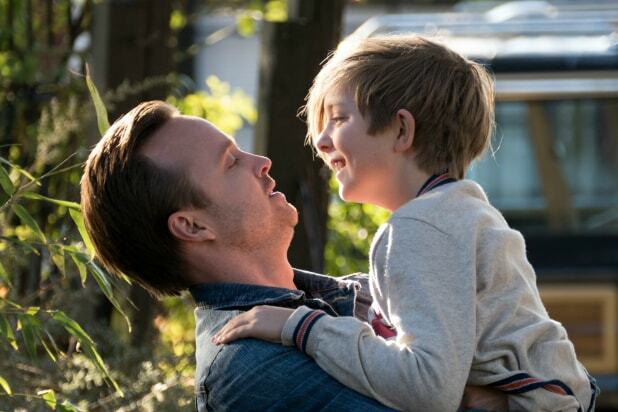 So, of course the child falls — or, depending on whose version of events you believe, is pushed by his father (Aaron Paul) — off a cliff in the film’s opening moments. Thought to be dead for several hours, Louis slips into a coma as his body lies still and his vivid imagination runs free. Aja’s rendering of this not-quite-real world is easy to give yourself over to, even as the familiar narrative trajectory draws you back to reality. The lion’s share of the film is essentially two overlapping narratives: Louis’ semi-lucid coma dreams and the attempts of his mother (Sarah Gadon), doctor (Jamie Dornan), and police to divine what’s actually happened to him, and how they might return him to the land of the living. In fits and starts, “Louis Drax” brings to mind a less otherworldly “Pan’s Labyrinth” in its portrayal of the visions of a child sitting at death’s door, with Louis led through his purgatorial subconscious by a torch-wielding, oceanic rock creature sporting a Christian Bale-as-Batman voice. This spirit is a benevolent presence, a guiding light in a place with few others. In that way he’s emblematic of “Louis Drax” as a whole, which manages to be comforting and dispiriting all at once. There’s an abundance of woo-woo ruminations along the way — “Do you think that the brain is the same as the soul?” Louis’s mother asks the boy’s doctor — but none of these winsome asides are free of melancholy. Even the boy’s wish-fulfilling dreamscapes are beset by a certain sadness, as he’s fully aware of what’s happened to him and of his slim chances of awakening. Louis also isn’t the only one thinking of another life: So many scenes are shot like sun-kissed reveries that you may expect to learn that more than one character is actually daydreaming here. Almost everything in “Louis Drax” has an air of unreality to it. Not that there’s anything mold-breaking here — for all its fantastical aspirations, Aja’s film abides by well-established rules. It avoids the maudlin tone of “The Lovely Bones” while still indulging a kind of whimsy that isn’t quite so deep as the water into which Louis falls. Though he’s the ostensible protagonist, Louis frequently recedes into the background as his mother reckons with his condition. Gadon, familiar to the arthouse crowd for her collaborations with David Cronenberg (“Maps to the Stars”) and Denis Villeneuve (“Enemy”), embodies this more ostensibly straightforward character with sly aplomb. She and Paul bounce off one another like combustible elements, two halves of a dysfunctional whole. From their interactions, it’s easy to deduce that at the heart of Louis’s flights of fancy is a home in the long, drawn-out process of breaking. Aja, best known for his work in the world of horror (including “High Tension” and “Horns”), infuses Louis’ projections with dark, fantastical overtones befitting his genre leanings. “Louis Drax” is a curious melding of sensibilities, as eager to show off its mysteries as it is to neatly resolve them. It’s a pleasant enough reverie, but one from which you won’t mind waking.